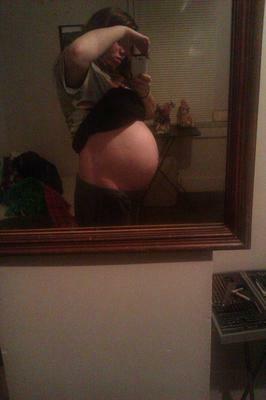 I was 24 weeks in the photo. I am now 26 weeks and 3 days! I'm still feeling great and have had no problems so far. (Thank god!) My precious babies are due April 13th.